Atmospheric environment stressors can have a significant impact on how the efficiently the human body can react to everyday stressors. When the body is persistently assaulted by stressors from the environment, the immune system can wind up compromised, and as a result, people may have a more difficult time staying healthy and happy. It may also be argued that other atmospheric phenomenon can be classified as stressors if the person experiencing the phenomenon experiences stress as a result of the experience. For example, the presence of clouds may not be considered a stressor by most people, but a person who experiences Seasonal Affective Disorder (SAD) may become stressed by the mere presence of the clouds because he or she knows that a bout with SAD may be eminent. Obviously the concept of environmental stressors within the atmosphere can be a complex concept with varied definitions. Some people may not even be aware that they are experiencing a stressor such as air pollution, but their immune systems and other body systems are busy at work trying to stave off the attack from these stressors. Excessive exposure to air pollution and certain other types of environmental stressors in the atmosphere can compromise a person's health. Not only does compromised health make people more susceptible to being affected by other stressors, but bad health in and of itself can certainly be stressful. Exercise and eating a nutritious diet can help battle atmospheric stressors because a healthy body may be able to deal with these stressors better than an unhealthy body. Adequate sleep is also important, as is leisure time. 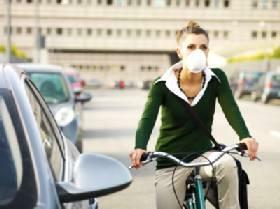 Of course, no amount of exercise or sleep can completely combat certain stressors like highly polluted air. The question is not only whether or not atmospheric environment stressors can harm a person's immune system and the way he or she deals with stressors, but also whether the mere presence of these environmental stressors is enough to elicit a psychological and physiological reaction that prompts further stress. Does the mere presence of a smokestack bellowing pollutants into the air prompt stress? Does a particularly humid day cause more stress than a pleasant one? The truth is that anything prompting discomfort -whether it's a tangible sign of pollution in the air or temperatures that are too hot or too cold- can increase levels of stress in some people. How can you deal with these stressors? The answer depends largely on your capabilities to do something about the stressor. You cannot change the weather, but you can take steps to find a way to be more comfortable. You may not be able to do something immediately about pollutants in the air, but working toward a solution might help alleviate some of the stress. Join an environmental group, purchase air cleaning systems, or move to another location that does not have such a high concentration of pollutants within the air. By working toward removing the stressor you may not experience such high levels of stress because you know you are doing something to improve the situation for you. Allowing yourself to wallow in helplessness will not help your stress levels, and may make them worse.